The Cross “C” Ranch is owned by Dr. Willard and Cindy Woods. 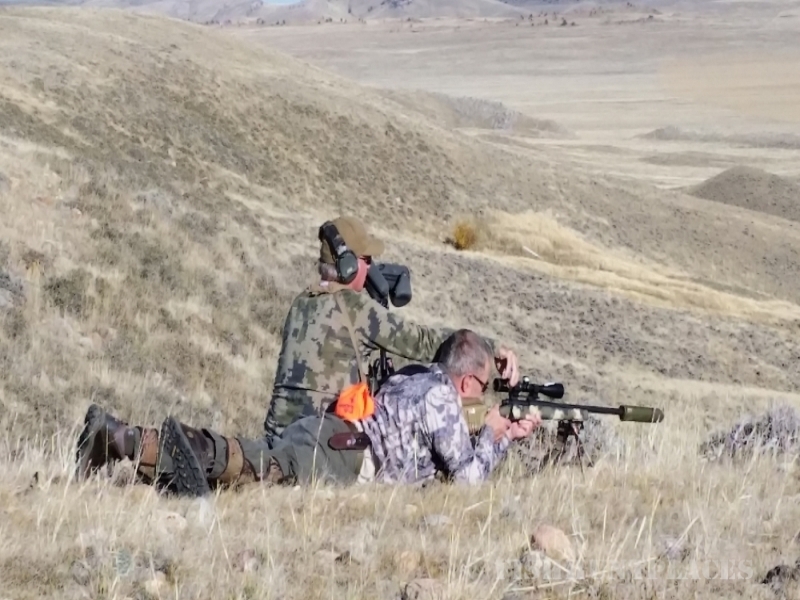 We are located in the Laramie Range, 30 miles West of Wheatland, Wyoming. The Ranch is a 17,000+ acre privately owned and operated outfitting and cattle ranch. 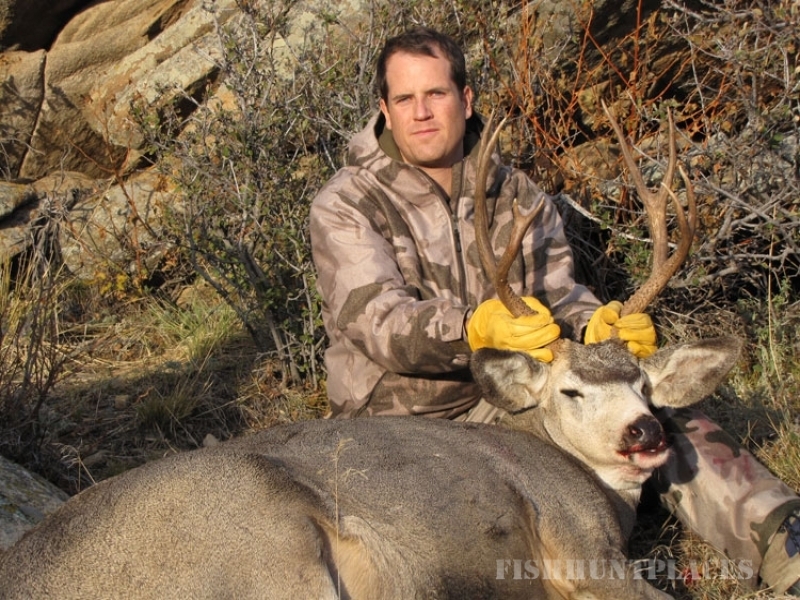 We have managed the ranch for trophy mule deer, white tail deer, elk, and antelope for over 30 years. We are a family run operation that offers amazing hunting opportunities on our own ranch, not someone else’s leased properties. 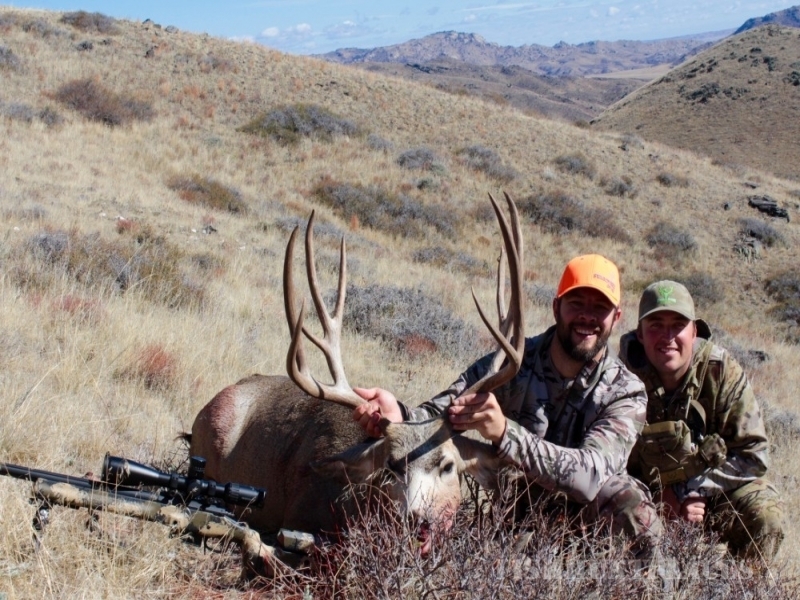 The Ranch emboldens the spirit of the American West throughout the year, but from October through January the Cross C Ranch provides guided trophy gun hunts on a wide variety of Big Game Species. 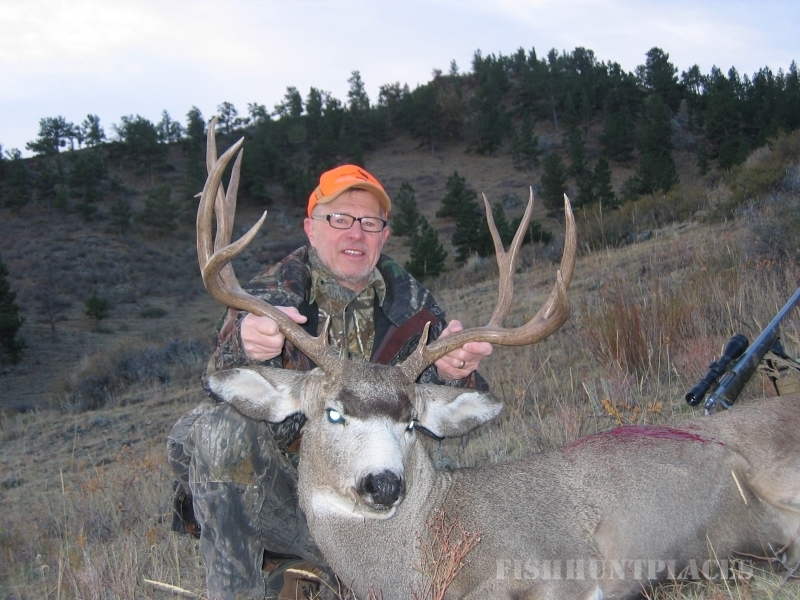 We are one of the oldest and most experienced outfitters in Wyoming with certification from the Wyoming Outfitters and Guides Association. The beautiful Laramie River and Bluegrass Creek offers amazing Fly Fishing opportunities for large brown and rainbow trout. We are also proud to offer stocked ponds around the ranch including a large pond next to our centrally located hunting lodge. 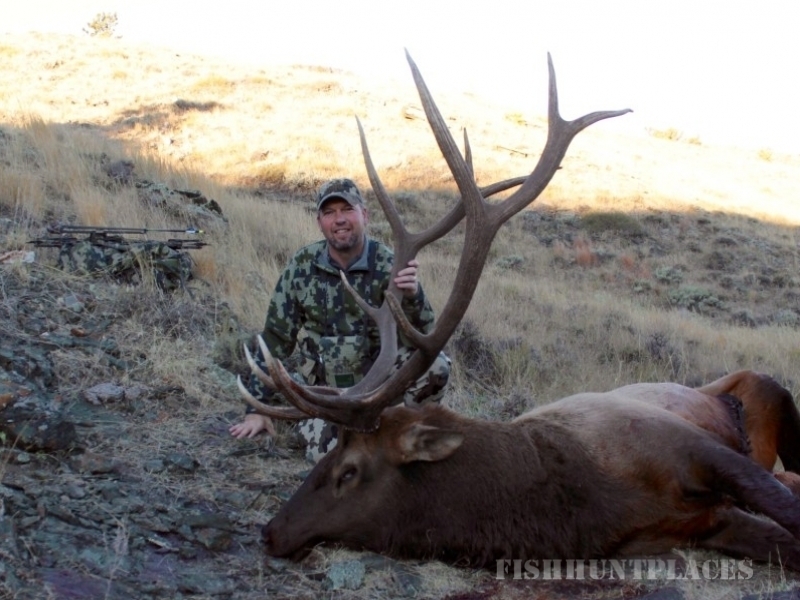 Fishing is included with all of our Big Game Hunts. 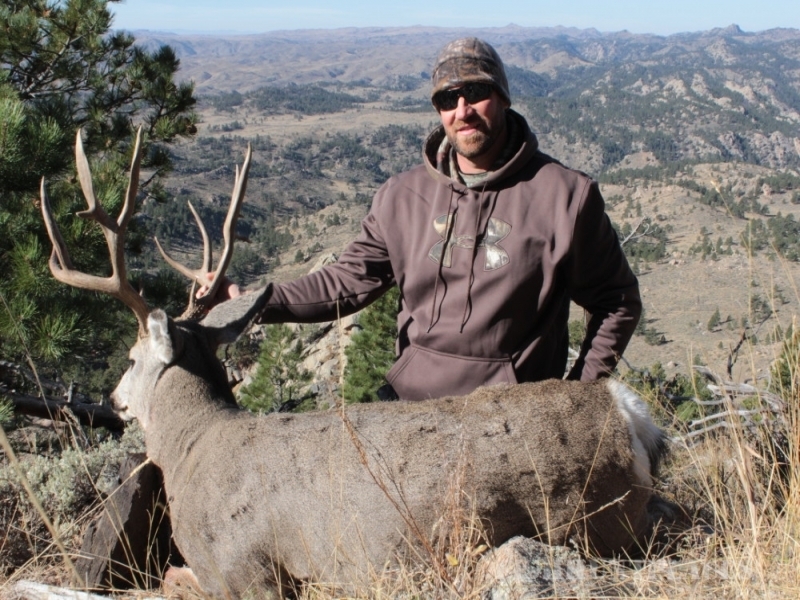 Excellent trophy mule deer herds flourish on the ranch with a large local herd of elk on nearby Squaw and Moonshine Mountains. 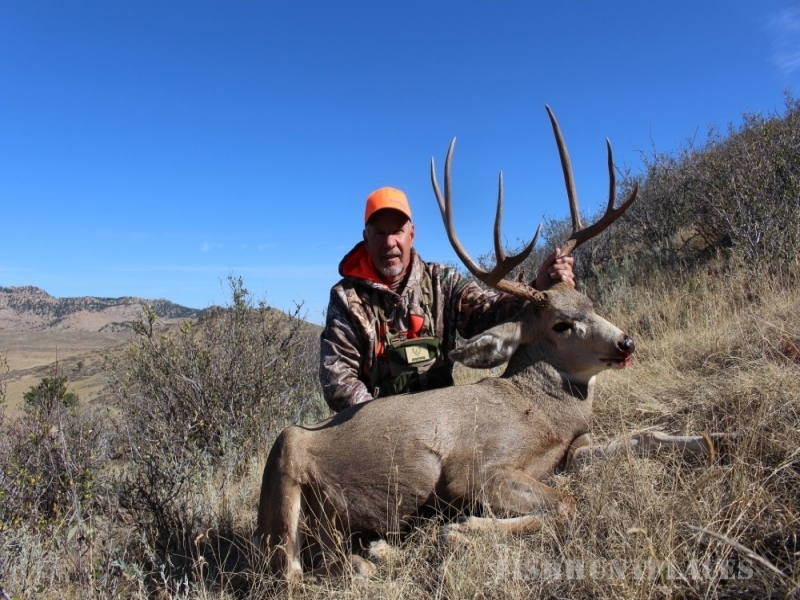 The Ranch offers the hunter a rare opportunity to hunt for multiple species with a near 100% success rate. 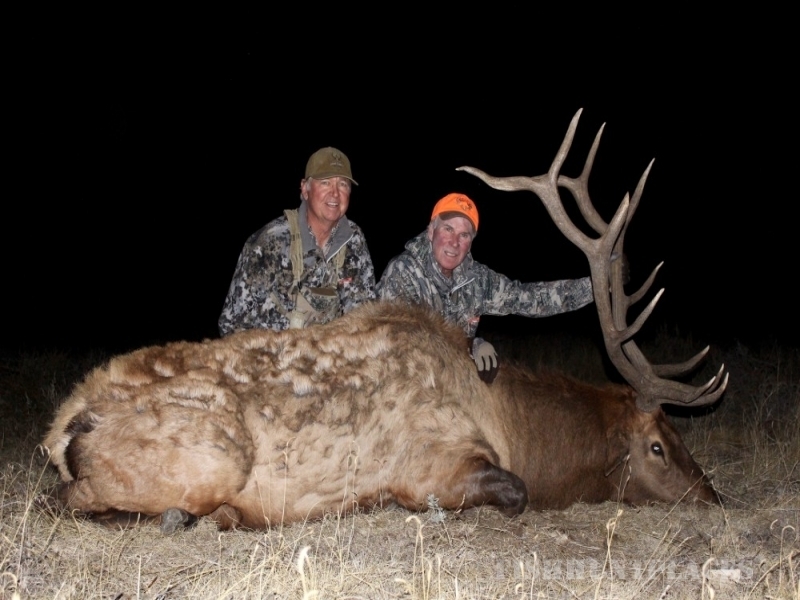 We strictly manage the herds on the ranch to provide Trophy Hunters with opportunities at mature game only. 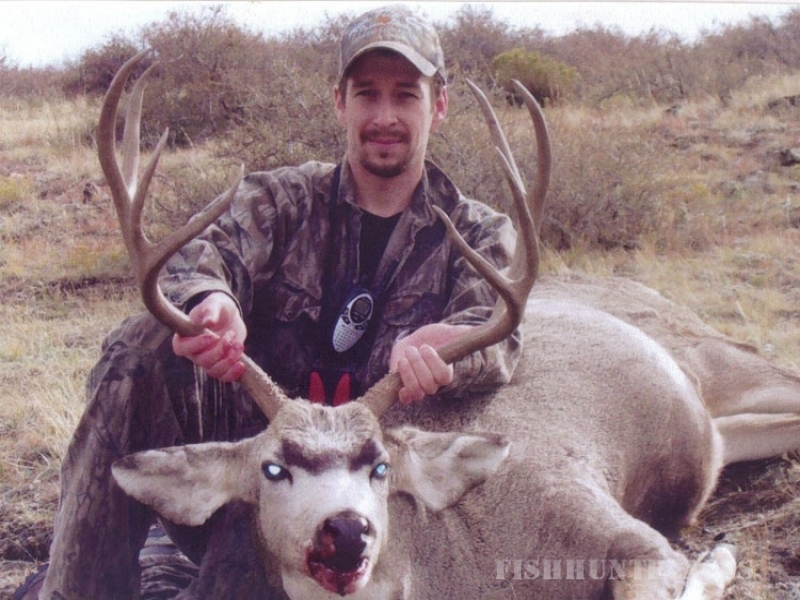 In doing this we are also happy to offer Doe or Cow/Calf Hunts & Management Hunts along with our Trophy Hunts. 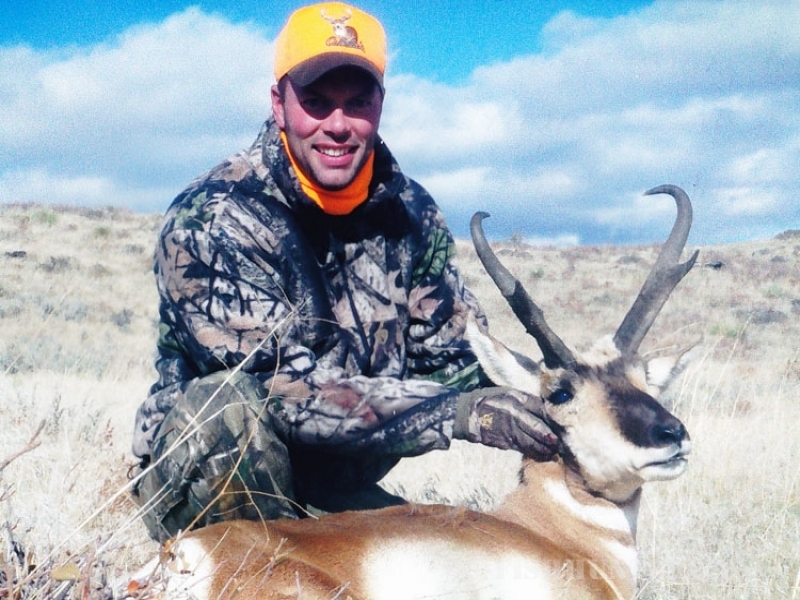 A modern lodge with deluxe accommodations and first class home cooked meals are provided for all hunts. The hunting lodge sleeps 12 comfortably with two bathrooms, fireplace, walk-in cooler and other modern accommodations. All hunts are fully guided. ATV’s and other 4WD vehicles are the preferred transportation. 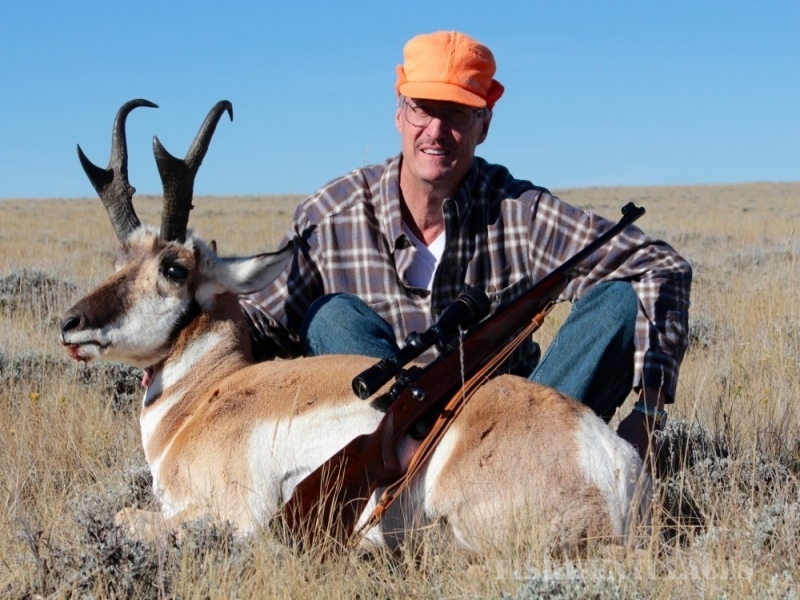 Our guides are professional, experienced and work hard to provide you with a first class Western Big Game hunting experience. The Cross C Ranch is all privately owned and accessed. No public hunting is allowed. 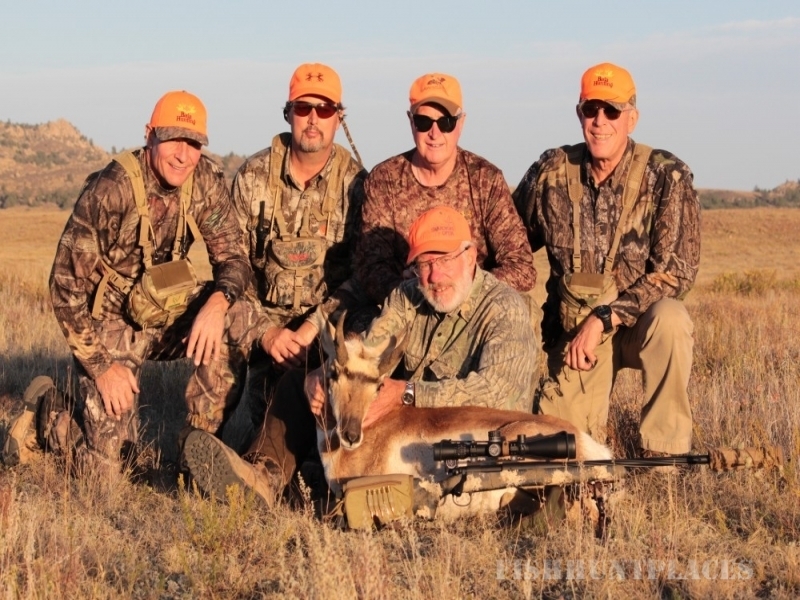 We are ideal for group hunts and well equipped for just about any other outdoor adventure. Non hunting family or friends are welcome for an additional fee per day. Please feel free to contact us with any questions or concerns about your upcoming western adventure!